HomeNewsWhich 10 States Have the Highest Cash Rent? 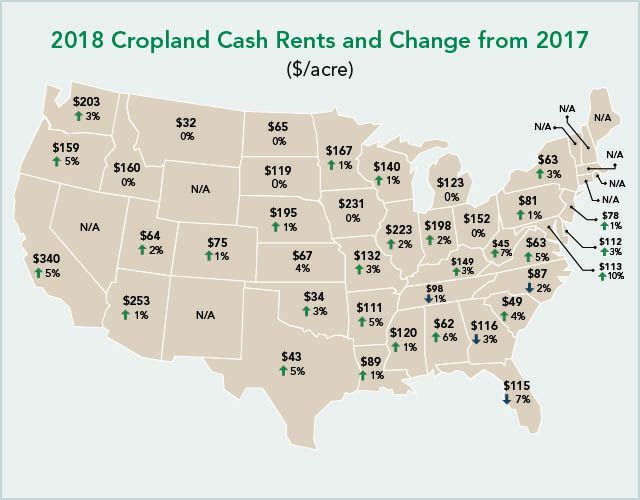 For 2018, the national average for cash rents on cropland is $138 per acre, which is 1.5% higher than 2017. I have a written contract year to year, and am thinking of selling my land effective in 2019. Do I have to let my tenant know by September 1st that I might be selling it? That only applies to oral contracts, right?